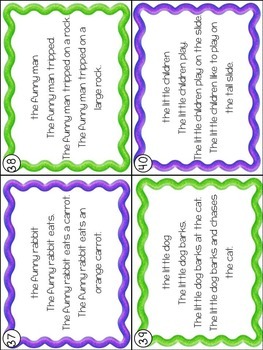 -First 50 Sight words on flashcards, ready to print, laminate, and cut. You can use these to flash to students or place them at a station so students can drill each other. 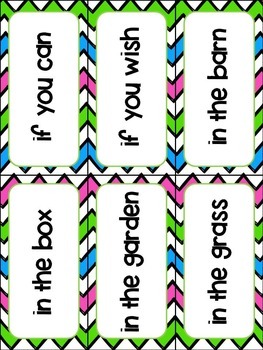 My kids love this set to play "School" during recess using these cards! 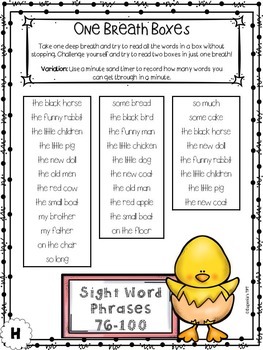 -4 pages of breath boxes focusing on the sight word phrases. -1 recording sheet for breath boxes. -4 Roll, Read, and Color practice sheets - Students will roll the die, then read and color one of the words under the corresponding column. 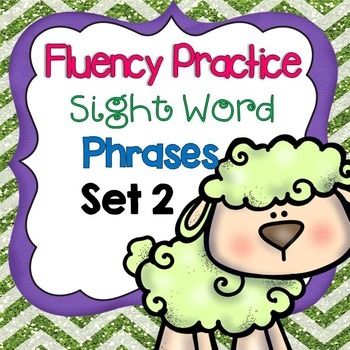 -50 Use what you know...TASK CARDS - Students build their fluency by practicing their phrases incorporated into every day phrases and sentences. Thanks for checking out my product. Please feel free to browse through my store and see what else you can find!